I am so proud to show off my latest book cover. D. Hart St. Martin and I have been teaming up since 2013. 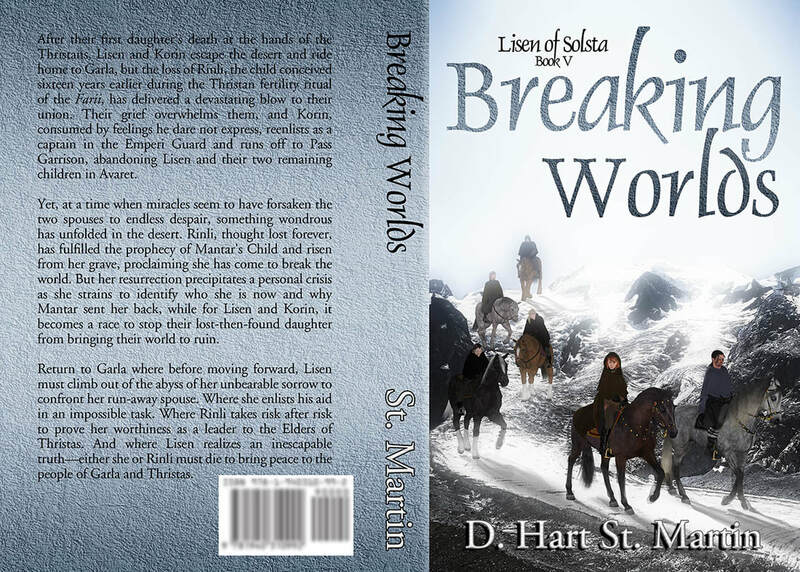 Breaking Worlds is the fifth book of the Lisen of Solsta series. I'm already prepping for book six's cover; I can't wait to fully dive into it! What makes this scene so cool, is it doesn't actually get described in the story. It's sort of what we would have seen while the travelers were moving from point A to point B in the book. Since we had already started the series (books 1-3), quite by accident, with a spring, summer, and fall scenes (honestly, we really didn't start out with that as the plan -- it just sort of happened) I really thought it would be cool, when Hart and I were planning books covers 5 & 6, if one of them could happen in the winter. At first, it wasn't in the cards, then Hart sent me a 'stop the presses' type of message. Told me to throw all of the project notes out and that she had a winter scene for me. She sort of gave me a general theme to work with since there were no actual excerpts to be had. This one, more than all of the others, was really a joint endeavor. I was constantly asking for details she had to give me from her head since there was nothing already on paper. The result is what you see here.... the scene that likely happened, but was never written. After their first daughter’s death at the hands of the Thristans, Lisen and Korin escape the desert and ride home to Garla, but the loss of Rinli, the child conceived sixteen years earlier during the Thristan fertility ritual of the Farii, has delivered a devastating blow to their union. Their grief overwhelms them, and Korin, consumed by feelings he dare not express, reenlists as a captain in the Emperi Guard and runs off to Pass Garrison, abandoning Lisen and their two remaining children in Avaret. Yet, at a time when miracles seem to have forsaken the two spouses to endless despair, something wondrous has unfolded in the desert. Rinli, thought lost forever, has fulfilled the prophecy of Mantar's Child and risen from her grave, proclaiming she has come to break the world. But her resurrection precipitates a personal crisis as she strains to identify who she is now and why Mantar sent her back, while for Lisen and Korin, it becomes a race to stop their lost-then-found daughter from bringing their world to ruin. Return to Garla where before moving forward, Lisen must climb out of the abyss of her unbearable sorrow to confront her run-away spouse. 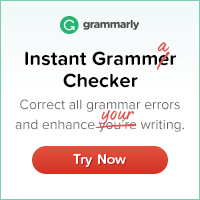 Where she enlists his aid in an impossible task. Where Rinli takes risk after risk to prove her worthiness as a leader to the Elders of Thristas. And where Lisen realizes an inescapable truth—either she or Rinli must die to bring peace to the people of Garla and Thristas. Blurbs for each book in the series can be found on my website. D. Hart St. Martin lives in a small college community in Southern California. She is retired from “gainful” employment and now writes anything and everything she wants, including a fantasy series called Lisen of Solsta. She is owned by one cat, Calypso, who reminds her daily that she is common and of little use save for the food and treats she provides but who occasionally appreciates her abject humility in her supreme presence.